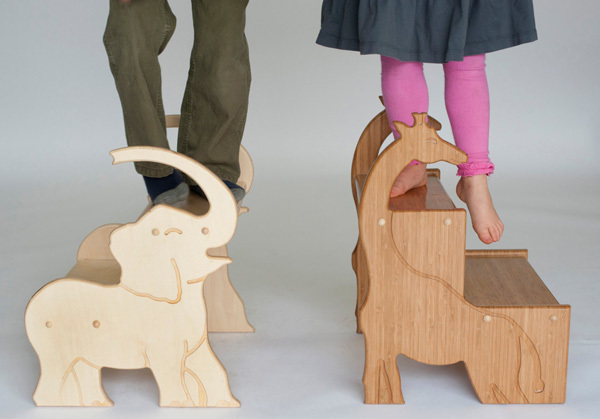 No matter your preference – if you’re a giraffe, an elephant or even a dinosaur type of person – your little one can get a step up with a menagerie of stool options from Etsy gem, Pops Furniture Co.
We love something that’s both cute and practical here at Babyology and the collection of stools and chairs from Pop-Pops Furniture Co absolutely fit this brief. 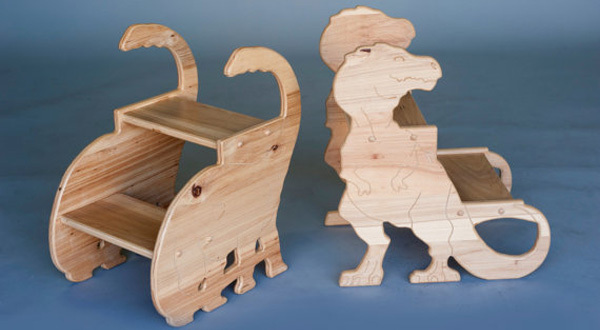 So much more than just a stool, Animal Stools and the all new Dinosaur Stools are perfect for providing a step up to the bathroom sink or kitchen bench. Not to mention the fact that the sides are shaped most magnificently into animals. I also love that there’s the option of having your child’s name engraved in the side, so there’s no mistaking whose stool is whose. Pop-Pops Furniture Co stools are made from either birch plywood or bamboo, depending on the style, and finished in clear varnish. You can check out all the stools available at Pop-Pops Furniture Co, where stool prices start from $56 and delivery to Australia is available.